While Habersham doesn't have a golf course that doesn't mean there's no golf at Habersham! You don't have to live in a golf community to enjoy golf in the Lowcountry. Beaufort County boasts some of the nicest public access and private golf courses in eastern South Carolina. For that reason, many people choose the beauty of Habersham over the typical golf community and still enjoy golfing at nearby courses. Golfers can choose to become non-resident members of private clubs or play at the public access courses. 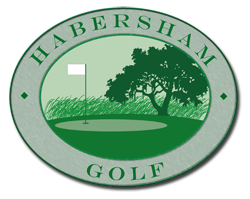 Habersham also has active golf leagues for both men and women. Our goal in providing this website is to facilitate the sharing of news about golfing opportunities, current events and past brags. Come take a look.